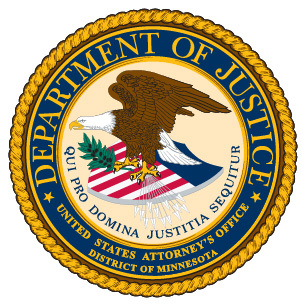 MINNEAPOLIS—Earlier today in federal court, a jury found a St. Paul man guilty of being a felon in possession of a nine-millimeter, semi-automatic pistol. Demetrius Demarco Spencer, age unknown, was convicted on one count. He was indicted on November 14, 2012. According to the indictment and the evidence presented at trial, Spencer possessed the gun on August 23, 2012. On that day, officers on routine patrol outside of a Minneapolis nightclub saw Spencer standing in the parking lot. He reached into his pants and removed an “L-shaped” item covered with a white sock. He carried the item to a nearby car and placed it under the front seat. Later officers recovered the pistol, which had been hidden inside the sock. Because he is a felon, Spencer is prohibited under federal law from possessing a firearm at any time. His prior Hennepin County convictions include possession of a pistol by a prohibited person (2003), assault in the third degree (2007), and aggravated robbery (2007). Spencer was also convicted in Ramsey County for possession of a pistol by a prohibited person (2000). In the current federal case, Spencer faces a potential maximum penalty of ten years in prison. United States District Court Chief Judge Michael J. Davis will determine his sentence at a future hearing, yet to be scheduled. This case resulted from an investigation by the Minneapolis Police Department and the Violent Impact Team for the U.S. Bureau of Alcohol, Tobacco, Firearms and Explosives. It was prosecuted by Assistant U.S. Attorney Richard Newberry.